Description: CS 916 was delivered in May 1972. Description: Rear view of CS 916. 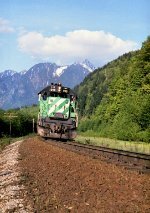 Description: CS 916 East in 8th notch climbing up the grade at Index.